Observational research consistently links healthy dietary patterns and lifestyle habits to a longer life. What is less well described in this area of research is the degree of individual benefit a person could get if they changed to a healthier diet over an extended period of time. A research team in the United States studied diet and health information from a group of over 73,000 adults for more than 12 years. Each person’s diet was scored by ranking ‘healthfulness’ according to one of three different methods. 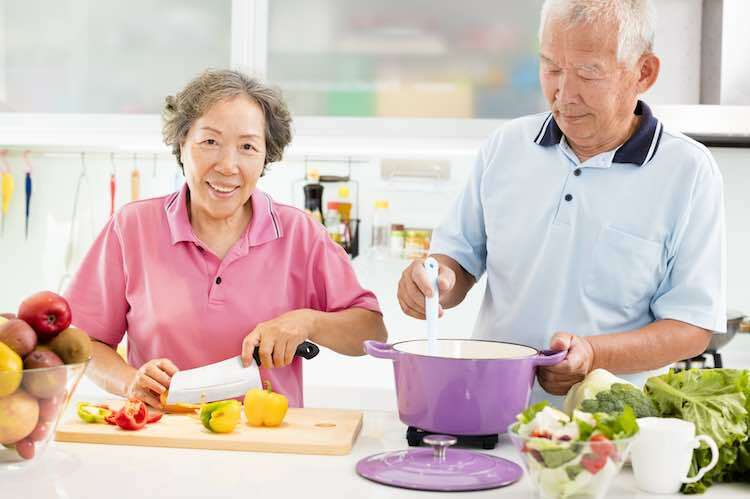 Key components of each scoring tool included foods such as vegetables, fruit, whole grains, nuts, red meat, fish, dairy and food with large quantities of added sugar. A higher score equated to a healthier diet. People whose diet score improved by 20% over 12 years had between eight and 17 per cent lower risk of death. The more healthy foods people added to their diet, the lower their risk of premature death. People who were eating well at the start of the study, and stayed on this track, had between nine and 14 percent lower risk of early death. In contrast, reduced diet quality over the 12 years was associated with an increase in earlier mortality of between six and 12 percent. The foods that contributed the most to health improvements were the core staples of whole grains, fruits, vegetables, fish and omega-3 fatty acids. The research team gave some advice on the degree of health benefits that could be realised by making dietary changes. For example, something as simple as swapping out one serving of red or processed meat and instead replacing it with nuts or beans could add years to life. The findings of this study highlight the long-term health benefits of eating better and there is never a time where it is too late to start making a change. 1. Sotos-Prieto M et al. Association of changes in diet quality with total and cause-specific mortality. N Engl J Med 2017;377:143-153.